Every Sunday at 6pm 95.9 The Rat’s Jersey Rock Weekly Podcast brings you the latest music and interviews from the bands that make NJ rock! Check back each week for a new episode or subscribe to the Jersey Rock E Newsletter through Club Rat to have it delivered straight to your e-mail. On this week's show The Clydes rock Jersey City, Darren Fisher of These Wolves tells us about his new EP, B Wood gets ready for his EP release show, Another Day's Armor makes their Jersey Rock debut, and Tilted rocks The Brighton Bar for charity! Every Sunday at 6:00 pm 95.9 The Rat's Jersey Rock Podcast brings you the latest music and interviews from the bands who make NJ rock! Check back each week for a new episode or subscribe to the Jersey Rock E Newsletter through Club Rat and have it delivered straight to your e-mail. On this week's show we chat with Matt O'Ree about his new live album and upcoming fundraiser at Jamian's in Red Bank on 4/20. We also rock killer tracks from Chris Brown, Kingston & GreyStarr, and Experiment 34! Every Sunday at 6:00 pm 95.9 The Rat's Jersey Rock Weekly Podcast brings you the latest music and interviews from the bands who make NJ rock! Check back each week for a new episode or subscribe to the Jersey Rock E Newsletter through Club Rat and have it delivered straight to your e-mail. On this week's show we premiere a brand new track from The Taylor Tote Band, check in with Mike from Latewaves, and rock tunes from Bobby Mahoney And The Seventh Son, Levy & The Oaks, and Nalani & Sarina! Every Sunday at 6:00 pm 95.9 The Rat's Jersey Rock Weekly Podcast brings you the latest music and interviews from the bands who make NJ rock! Check back each week for a new episode or subscribe to the Jersey Rock E Newsletter through Club Rat and have it delivered straight to your e-mail. On this week's show Vendetta Rose makes their Jersey Rock debut, we turn up a great tune from Rachel Ana Dobken, Brian Matthew of This Year's Comeback calls in, We crank a nocturnal track from Dentist and Mike Florentine of Generation Underground checks in over the phone! Every Sunday at 6:00 pm 95.9 The Rat's Jersey Rock Weekly Podcast brings you the latest music and interviews from the bands who make NJ rock! Check back each week for a new episode or subscribe to the Jersey Rock E Newsletter through Club Rat and have it delivered straight to your e-mail! On this week's show we talk with Tattoo Tony of Broken Past, check in with Pete V of Blud Red Roses and rock awesome tracks from Jersey Rock Showcase bands Wynward, Sonic Blume, and Connor Bracken And The Mother Leeds Band! Every Sunday at 6:00 pm 95.9 The Rat's Jersey Rock Weekly Podcast brings you the latest music and interviews from the bands who make NJ rock! Check back each week for a new episode or subscribe to the Jersey Rock E Newsletter through Club Rat and have it delivered straight to your e-mail! This week's show was recorded at OCVTS, Ocean County Vocational Technical School with artists from the upcoming TechFest 9 festival. It rocks The Brick Presbyterian Church, located at 111 Drumpoint Road, on 3/16 with over 9 hours of live music! Proceeds benefit the Dennis Bourke Hopes and Dreams Memorial Scholarship! Check out interviews with organizers Bill Bourke and Mary Anne Fekete and hear tracks from Skyeline, B. Wood, Sunshine Spazz, Olivia Bec, and Shoobies! 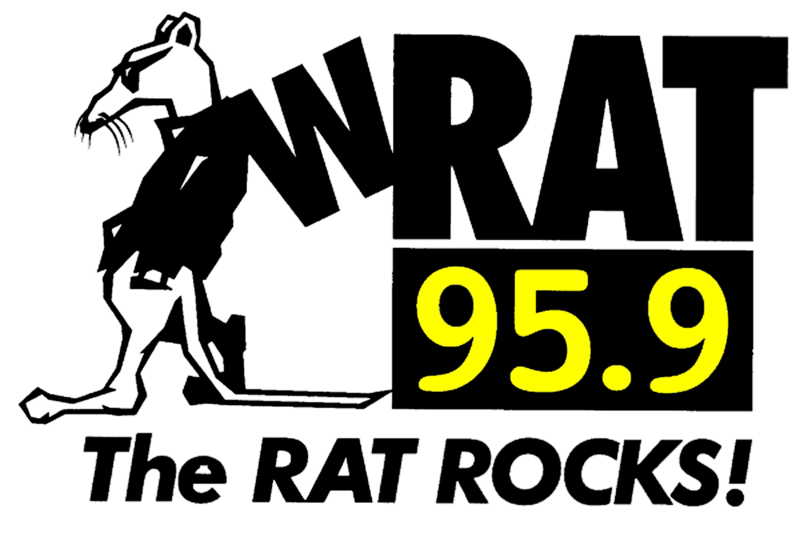 Every Sunday at 6:00 pm 95.9 The Rat's Jersey Rock Podcast brings you the latest music and interviews from the bands who make NJ rock! Check back each week for a new episode or subscribe to the Jersey Rock E Newsletter through Club Rat and have it delivered straight to your e-mail. On this week's show we rock tracks from Jersey Rock Showcase acts Matt O'Ree Band and Roulette, chat with Christian Carson of Common Wealth and premiere their latest single, check in with Rock photographer Jeff Crespi and turn up tunes from Reality Suite and Incognito Theory! Every Sunday at 6:00 pm 95.9 The Rat's Jersey Rock Weekly Podcast brings you the latest music and interviews from the bands who make NJ rock! Check back each week for a new episode or subscribe to the Jersey Rock E Newsletter through Club Rat and have it delivered straight to your e-mail! On this week's show we rock with Ruby Bones, check in with Kellie Shane of Pepperwine, get caught up with Where's Tino, chat with Chris from Sister Salvation, and turn up The Ones You Forgot! Every Sunday at 6:00 pm 95.9 The Rat's Jersey Rock Weekly Podcast brings you the latest music and interviews from the bands who make NJ rock! Check back each week for a new episode or subscribe to the Jersey Rock E Newsletter through Club Rat and have it delivered straight to your e-mail. On this week's show we rock the latest from Morningside Lane, are joined in-studio by Ashley McKinley for a live acoustic performance, turn up the heat with Cold Weather Company, check in over the phone with Gary Whit of The Desert Jellies in their Jersey Rock debut, and crank an awesome tune from The Dead Ramblers! Every Sunday at 6:00 pm 95.9 The Rat's Jersey Rock Weekly Podcast brings you the latest music and interviews from the bands who make NJ rock! Check back each week for a new episode or subscribe to the Jersey Rock E Newsletter through Club Rat at wrat.com and have it delivered straight to your e-mail. On this week's show we get talk with Matty Carlock about his new album, get rough with Reality Suite, rock a great Beatles cover from The Clydes, crank up Corevalay, and get to know Vulture!